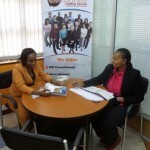 Accountant Job In Mombasa, Accounting Jobs. Our Client is fast becoming a leading brand in Household and Commercial electronic appliances. They seek to recruit a highly competent and proactive accountant to ensure accurate and timely invoicing, receipting and payment for and on behalf of the establishment. Developing an in-depth knowledge of company’s products and process. Resolve financial disputes raised by the customer service and sales teams. Update internal systems with financial data. Reconcile bank statements and track bank deposits and payments. Manage the accounts payables and receivables. Issuance and posting petty cash. Stock Management and Cost Accounting. Cash controls as well as maintain book keeping up-to-date. Ensure all expenses are within assigned project budget. Professional qualification as a ACCA part 2/CPA level 3 is a must. At least 2 years’ experience in accounts payable or receivables. Attention to detail and good record-keeping skills a must. Has a keen eye on Operations and Logistics is a mandate. If you are up to the challenge, possess the necessary qualification and experience; please send your CV only quoting the job title on the email subject (Accountant – Mombasa) to vacancies@corporatestaffing.co.ke before 28th February 2019. Kindly indicate current/last salary on your CV. NB: We do not charge any fee for receiving your CV or for interviewing. Only candidates short-listed for interview will be contacted.